Rembrandt Park is located in the New West District of Amsterdam, an area that was developed after World War II. The ancient and historic city of Amsterdam is the country’s largest and its capital. The many landmarks and sights have made it one of Europe’s most important and popular tourist destinations, especially the Seventeenth Century canals which are on UNESCO’s World Heritage List. Rembrandt Park was originally the area where plants, bulbs, flowers and other horticultural items were grown commercially. By 1957 the growers were moved to the Louwesweg area of the district, and Rembrandt Park began to take shape. Established in 1958, but not actually built until the early 1970’s, the park was named in honor of Rembrandt van Rijn, the famous Dutch artist who lived and worked in Amsterdam. Rembrandtpark, as it is known, is a serene and lovely green buffer zone between urban areas that were part of the city’s western expansion in the 1950’s and 1960’s. 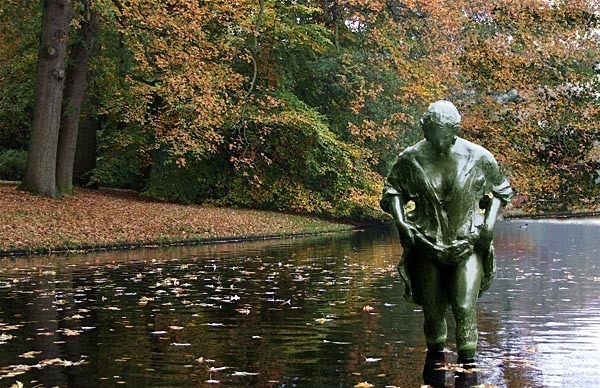 The park is bisected by Postjesweg, a street that was planned after the First World War. Within the park is the oldest petting zoo in Amsterdam called the Uylenburg. It is well-liked by families with children and there are picnic tables nearby for the convenience of visitors. Snacks and soft drinks can be purchased from a shop on the terrace. Several years ago the park went through a major renovation. The benches, landscaping and ponds have all been restored and there is an updated playground. This is a lovely oasis in which to spend some green time while in the city. Last updated by Ginny on 05 March, 2012 in Destinations.